The right bike fit maximizes comfort, efficiency, and power to optimise your cycling experience. Retül Bike Fitting provides highly accurate and comprehensive bike fit data, the most advanced training for fitters, and is used by more professional cycling teams and professional triathletes than any other bike fitting brand. Bike fitting is available 7 days a week in our Dublin Bike Fit Studio. Devised following years of research in the Institute of Sport in Boulder, Colorado and from working with professional cycling teams such as SKY and Orica GreenEDGE. 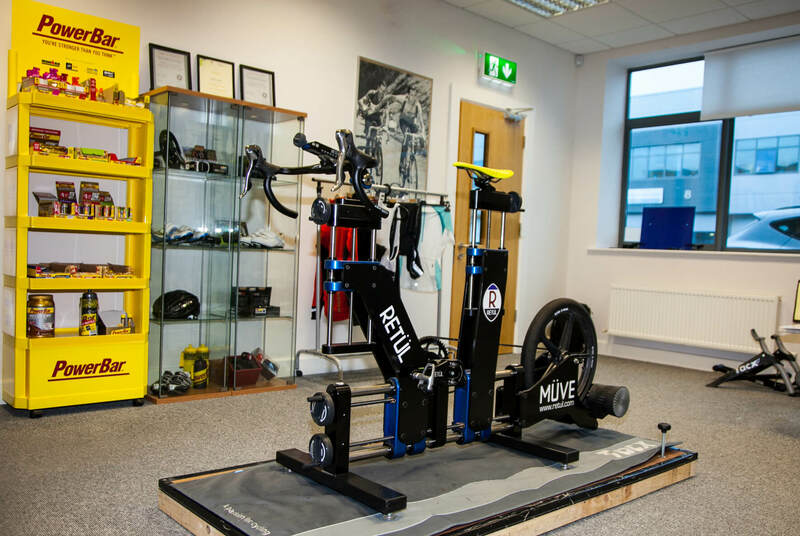 Retül Bike Fitting Ireland uses a cycling specific 3D motion capture system to read individual rider’s movements while you are cycling in real simulated conditions by power loading. 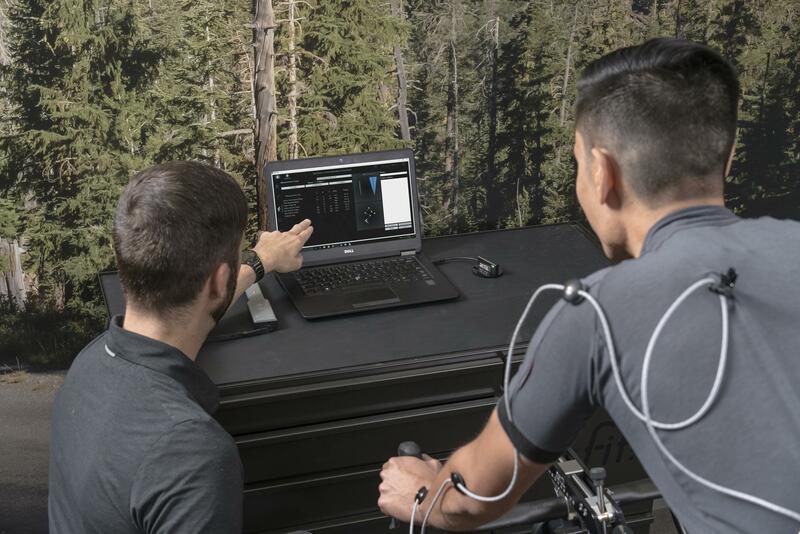 This bike fit takes into account your physiological capabilities, cycling objective, sport category, and highly accurate fit data to guide your bike fit changes and define a bike fit & position that maximizes your potential. Official Bike Fitting Centre for Cycling Ireland Squads, Bike Fit Studio is run by the only Level 3 Advanced Retül Fitters in Ireland. The right bike fit maximizes comfort, efficiency, and power to optimise your cycling experience. 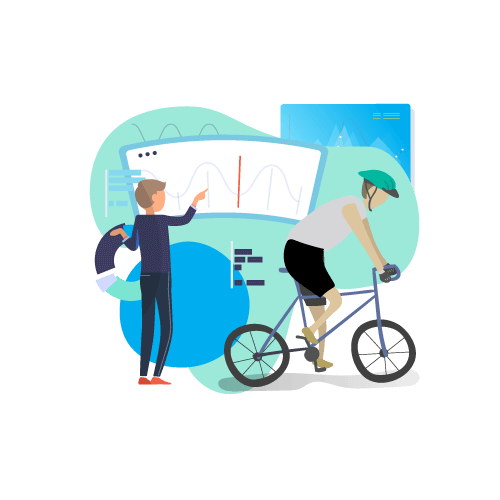 Bike Fit Studio provides you with highly accurate and comprehensive bike fit data, the most advanced fitters in Ireland, and a technology that is used by more professional cycling teams and professional triathletes than any other bike fitting brand. Bike fitting is available 7 days a week in our Dublin Bike Fit Studio. We carry out over 400 bike fits every year. Cyclists come for bike fitting from all over Ireland, in various disciplines. 35% of all bike fits we conduct are with cyclists that race competitively. Very often, cyclists will bring their racing bike and their training bike into Bike Fit Studio. Being fit on both allows the rider to adapt their position in training in preparation for racing. Sportives and leisure cycle events are becoming hugely popular in Ireland. As a result, sportive bike fits account 35% of all bike fits here at Bike Fit Studio. This gives us a vast amount of experience in helping those who don’t race to optimise their bike fit. A TT bike fit or triathlon bike is all about maximizing performance and aerodynamics, while maintaining comfort. It’s no surprise that 25% of our bike fits are conducted for triathletes and competitive time trial cyclists looking to achieve their ideal position. 10% of the bike fits we conduct focus on the more specialized areas of cycling in Ireland. Tandem bike fits are a real favourite for us at Bike Fit Studio. We also love working with track cyclists and MTBers to optimise for specific events & disciplines. We highly encourage you to join Cycling Ireland not only for the many benefits of membership, but also to support cycling as a sport, community, and safe mode of transport in Ireland. To help encourage you, we offer €50 off all of our bike fitting services to Cycling Ireland Members. This €50 discount can be used on top of the discount we offer to group bookings, for ultimate savings. Plus, get 10% off all products available at Bike Fit Studio. If you are part of a club or training group that would like to book multiple bike fits to avail of our best pricing, then we provide a reduced price of €150 on bookings of 5 or more. Plus if you are a Cycling Ireland member then your bike fit is only €100. Please note that each bike fit is treated as an individual appointment, so each cyclist can book at a time that suits them. This means you will receive full attention in your appointment, with no rushed group numbers. Bike Fit Studio is run by former international cyclists, qualified coaches, and passionate people. With over 60 years of combined cycling experience, and an impressively long palmares — bike fitting is carried out with unparalleled precision. With experience from racing, and bike fits across road, track, MTB, and Paracycling — the team focus on your needs as a cyclist to find the ideal bike fit for your discipline, bio-mechanics, and anatomical ability. A look at what's ahead for bike fitting in Ireland in 2018, and new projects at Bike Fit Studio. We like to write all about bike fitting in Ireland. We write about the challenges of bike fitting, address bike fit issues we commonly see, and discuss ways to overcome issues without necessarily needing a bike fit. This is one of our most popular recent posts on bike fitting Ireland.